The first round of the NCLA playoffs found BC taking on Marin for the second time in two weeks and the fourth time this season. The teams had previously traded wins: Marin won convincingly (9-3) in the first meeting, BC ran it back (8-6) in the next game, and Marin squeezed out an 8-7 win just last week. The semi-final game began in similar fashion, both teams executing well and trading goals throughout the first quarter. Going goal-for-goal early on, the game was tied 5-5 halfway through the second quarter. After one or two unpalatable calls, Marin unravelled a bit, with one of their key midfielders being ejected from the game after a disagreement of opinion with the head referee. BC capitalized on a 4.5 minute non-releasable unsportsmanlike conduct penalty, grabbing two extra-man goals to bring Barbary ahead 7-5. Excellent goalie play by Tyler Page, disciplined clears, and aggressive rides from BC kept the ball in BC hands, who led 8-5 at half. Barbary continued its forward momentum throughout the second half, maintaining the 3 goal lead for the remainder of the game. When all was said and done, BC came out on on top 13-9. The Barbary Coast offense was dialed-in, led by Team President and attackman Kevin Nguyen who played stellar, netting 6 goals on the day. Other goal scorers included Colin Short, Dean Granoff, Steve Caditz, AJ “Get to the Chopper” Von Massenhausen, Nick Lizards, along with a pair of goals from Kyle Jordan. Yosef Becher and Nick Richards battled it out at the face-off X, working with BC LSMs and middies to keep the ball on the ground and generate possession off of contested GBs. At the other end of the field, Barbary’s defensive efforts were fueled by ever-ready goalies Tyler Page (first half) and Matt Levy (second half). BC longpoles Tommy Gibbons, Connor Handy, and Andrew Klontz were everywhere, causing turnovers, sliding hard, and helping the defense clear almost 90% throughout the game. Tireless hustle between the lines from Steve Caditz, Kyle Jordan, Nick Richards, and Dan “Steven Patrick” Morrissey solidified a true BC performance: hard-nosed defense, selfless play, aggressive riding, disciplined clearing, minimal turnovers, and fast-paced ball movement. Always a difficult match-up, Marin played very well all season and we look forward to seeing them at the Tahoe Tournament and in 2018. 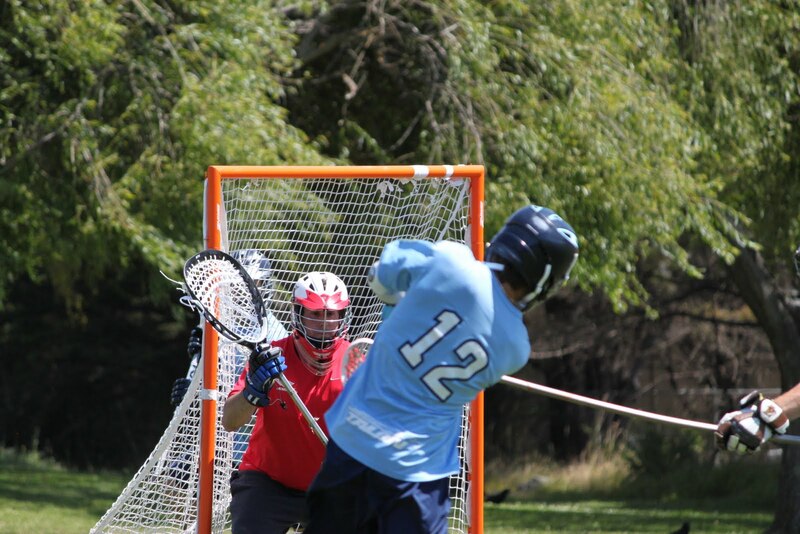 BC advances to the NCLA finals to take on Olympic Club this weekend on Saturday, June 17th, 9:00 am at Tamalpais High School.